Posted on 12 Jan 2017. The first major event of the year is my debut headline show at London's legendary venue The Jazz Cafe in Camden. Presented by Total Refreshment Centre, I'll be playing music from the classic album 'Bird and Diz.' I'll be working with Quentin Collins, Cleveland Watkiss, Robert Mitchell, Alex Davis and Dave Hamblett. Buy your tickets for this gig here. On January 27th, Emulsion New Music Festival is going to Birmingham. I have been working on this festival with saxophonist Trish Clowes for the past year. As Artistic Director of Emulsion, I really pleased that all the hard work will soon pay off. The festival is now in it's fifth year, and is being recorded by the BBC for broadcast on Radio 3's Late Junction Show. The festival is being hosted by the show's presenter Fiona Talkington. We have new premieres by Hans Koller, Cevanne Horrocks-Hopiyan and performances from Trish, Hans and the Emulsion Sinfonietta. I can't wait to hear the music! On February 3rd I'll be playing a very different concert! I'll be performing with rising star French pianist Fabrice Tarel at London's Vortex Jazz Club. We will be playing original compositions by Fabrice, whose music takes its cues from Bobo Stenson and Brad Mehldau. Also playing will be Percy Pursglove on bass and Tim Giles on drums. 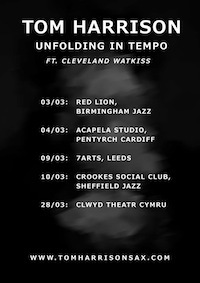 Here is a link to the gig listing. In April I'll be flying to Los Angeles for a month-long US residency with David Lyttle. We will be touring the full width of the country from California to New York! More on this nearer the time. March 2017: Live recordings with David Lyttle and John Goldsby now on Youtube! Feb 2016: With Cleveland on BBC News! 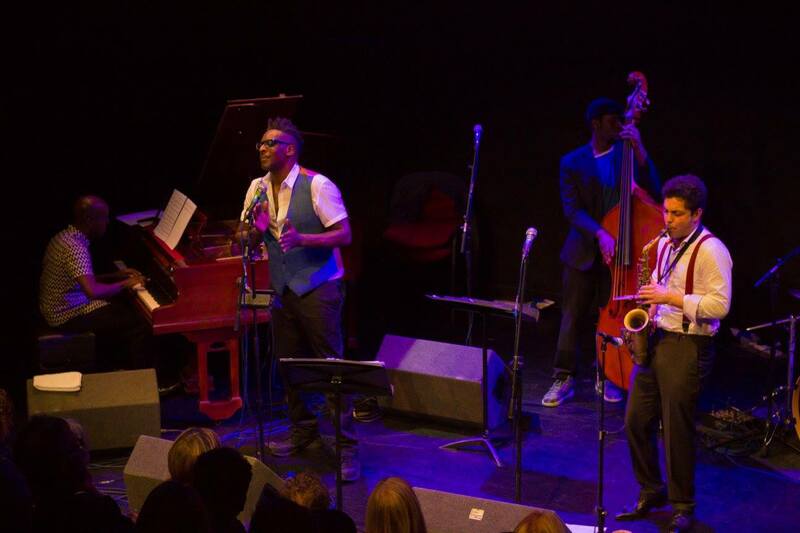 Jan 2016: Tom Harrison Quintet at London Jazz Festival 2015: Videos!